ilulz Blog: Jennifer Lawrence "Hunger Games" hero falls down in Oscars, and actually shines ! 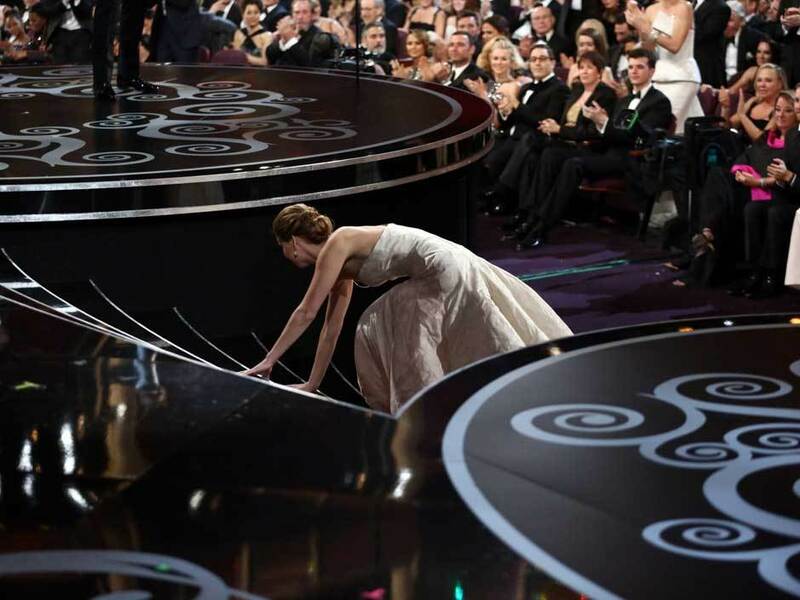 Jennifer Lawrence "Hunger Games" hero falls down in Oscars, and actually shines ! 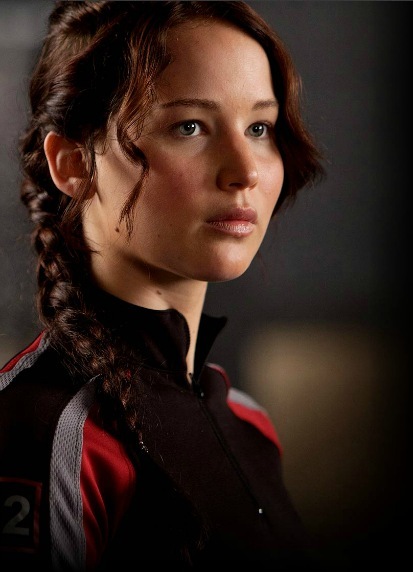 We might all recognize this young actress when we hear the word "Hunger Games", where this movie was directed by Gary Ross in 2012, based on the novel of the same name by Suzanne Collins. 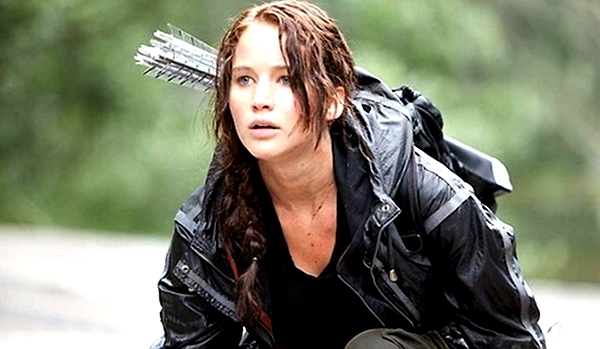 Its stars Jennifer Lawrence, Joh Hutcherson, Liam Hemsworth, Woody Harrelson, Elizabeth Banks and Donald Sutherland. Jennifer Lawrence was awarded for her performance in Silver Playbook as the "Best Actress" at the Oscars Show on February 25, 2013. 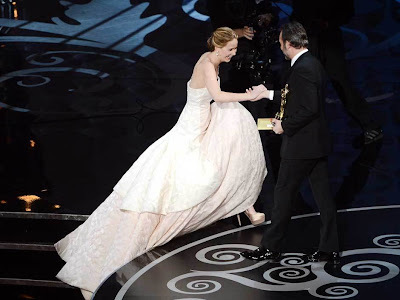 She was wearing a remarkable dress designed by the very famous Christian Dior. 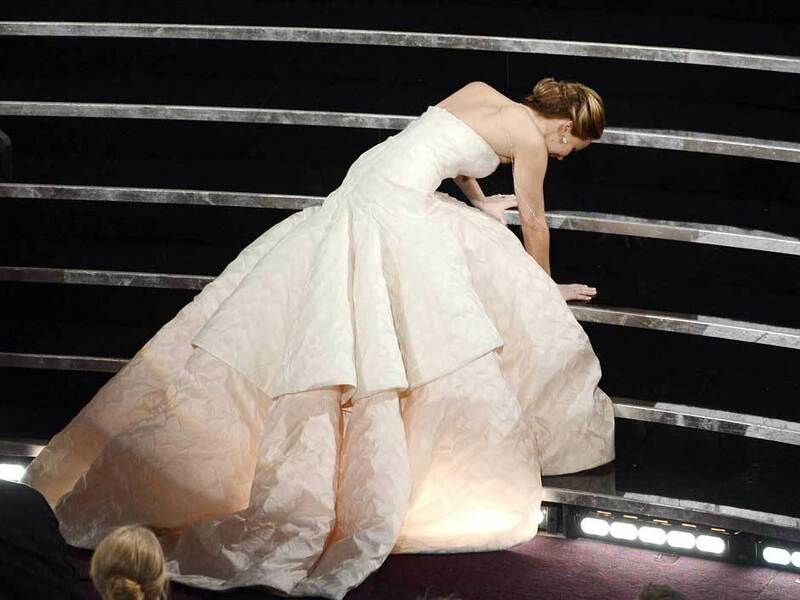 And she actually tripped while taking the stage to claim her award, and somehow managed to cover her fall with a complete grace and prestige. 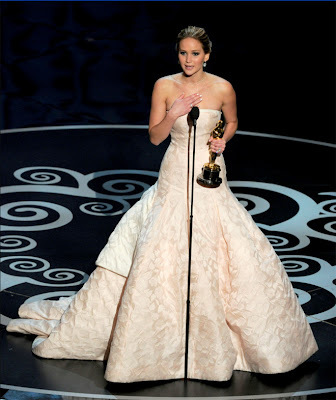 Everybody from the audience stood up and start clapping for her showing respect and support. 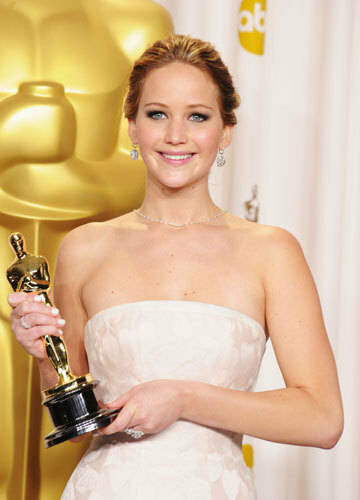 "You guys are just standing because I fell," Lawrence said. 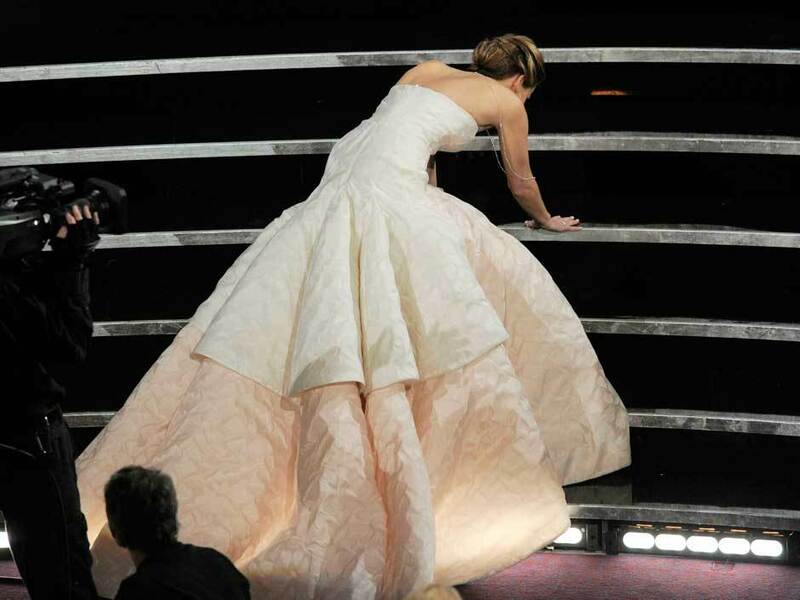 And she was so embarrassed of what happened to her during the show. I would say don't worry Lawerence, you were still looking amazing even after you tripped and fell down. And it's not only me who is saying so, check out the below images and you will know what I am talking about :-D !